Join in and listen to our second episode of Your Home Story : All About Painting Cabinets. Suzannah and I share our thoughts on prepping, doing the work, what products we love and if we’d recommend doing it yourself. Also, prepare to be surprised by how much it can cost to hire this product out. You all know that I drastically changed my kitchen by keeping my original kitchen layout and painting the cabinets. 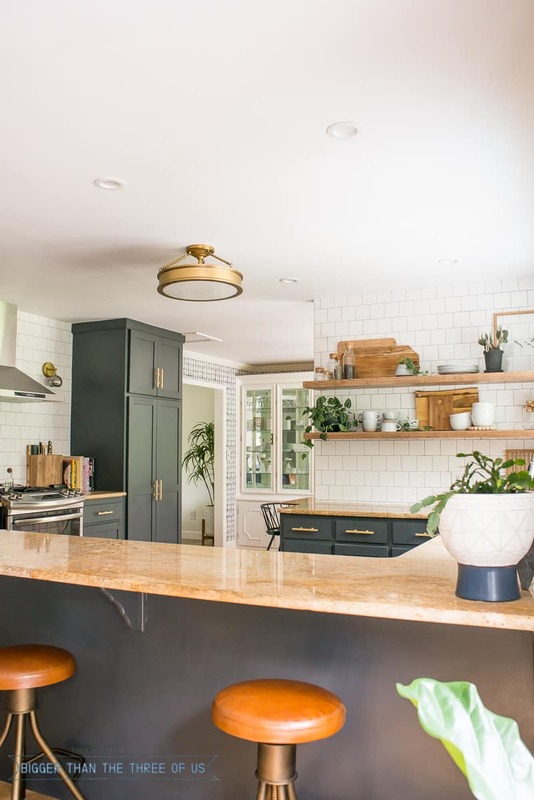 Get all the details and see more on the Modern Kitchen Reveal with Dark Cabinets! Suzannah shares about her experience about how to paint oak cabinets, what she did to prep and how many coats she put on. The before/after is crazy good! We share what paint we both used and loved (*hint, it’s the same exact brand), building DIY Drawers and Building Cabinets, this deglosser and foam rollers specifically meant for cabinet painting. 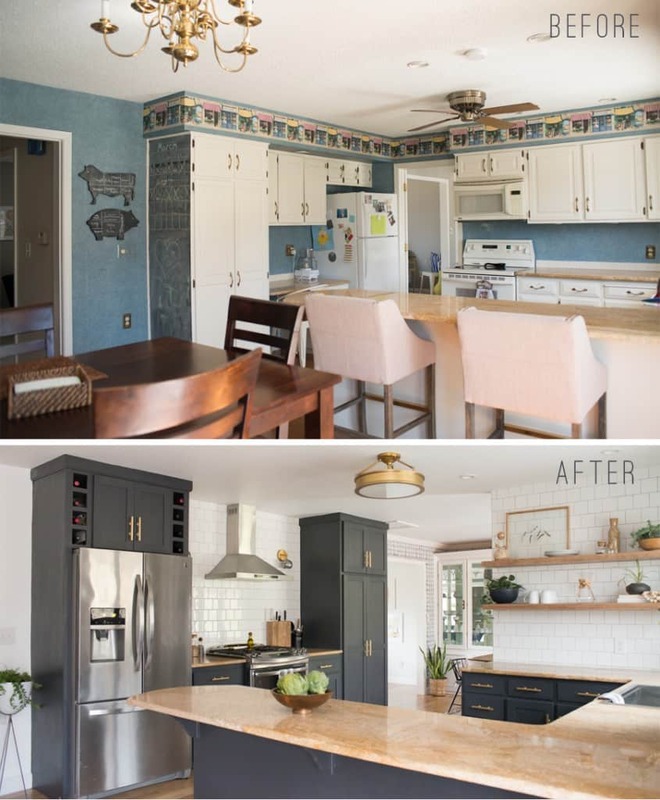 Listen in as we chat about paint colors and sheen, how we prepped, time investment for painting cabinets and more in this episode of Your Home Story: All About Painting Cabinets. Want to see the makeovers that we talked about in the show? Write a review of the show on iTunes to be entered in the $250 Framebridge giveaway! Ends 2/13, continental US only. You can find us on our blogs or connect with each of us on Instagram. Suzannah is @suzannahstanley and I am @biggerthanthethreeofus. We’d love to hear your questions and thoughts! Join our Facebook group here and email us at yourhomestorypodcast@gmail.com.